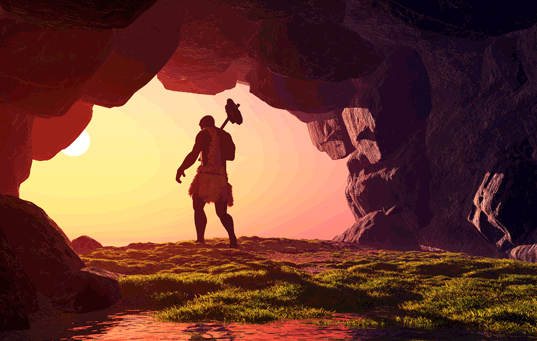 No matter what you may read online, content marketing isn’t new. And it’s definitely not a marketing strategy that you have to be a specialist to understand. Content marketing has essentially been around since the first cavemen recorded stories on cave walls with charred sticks. And content marketing was really revolutionized with the adoption of the printing press. You see, content marketing has always been around. Every magazine, newspaper, blog, TV station, and book publisher are basically content marketers. It used to be easy, affordable, and profitable for marketers to team up with businesses who created content by purchasing advertising. Those purchased advertisements were then attached to the content and distributed to the masses. But the rising cost of advertising, combined with reduced effectiveness (lower ROI), has sent marketers looking for alternatives. According to Inbound Writer it cost an average of $143 to generate a lead through inbound marketing versus $373 a lead for outbound marketing. Obviously the alternative to traditional advertising is to become the publisher. No matter your position on content marketing I assure you it will drive more traffic to your site. In fact, blogs provide 434% more indexed pages and 97% more indexed links over websites which don’t have blogs. Just think – that’s more ways for your potential clients to find you! (Note: content marketing not only takes place top of funnel like your website, but marketers understand that their proposals are a form of content marketing). 1. Make it easy to navigate your content. 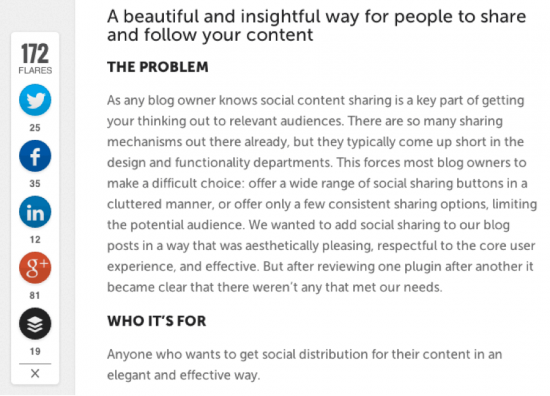 Making it difficult to find your content – or having no organization of your content at all – is a problem. Content that is difficult to navigate will often cause a potential client to leave your website. But, using tags and categories is easy – and it helps with SEO. Also, don’t forget about your navigation. 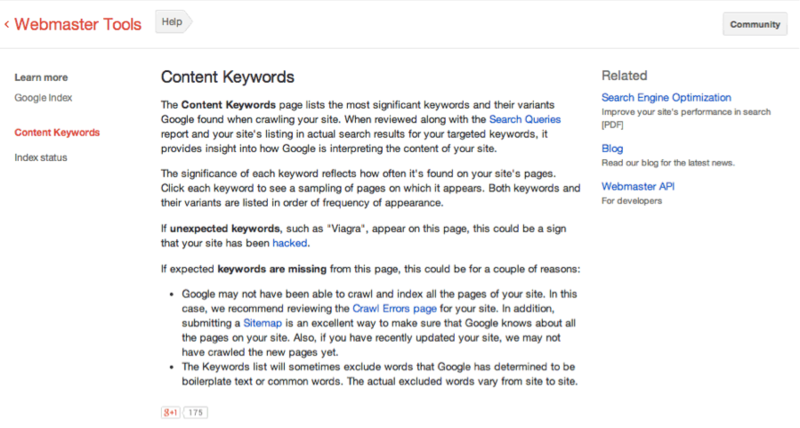 Making it easy for visitors to find your content starts there. 2. Create relevant content for your ideal customer. Traffic on its own won’t help you reach your goals. Instead, you have to have qualified traffic. And creating content relative to your ideal client is essential for attracting qualified traffic. Spend some time researching your target market and find out what type of content they’re looking for. Sometimes it’s as easy as asking your past clients questions. Just listen and they’ll tell you what’s important to them. 3. Make your content sticky. It’s great to have your ideal clients find and read your posts, but take it one step further … always include a next step like reading a similar article or signing up for more information. Keep in mind you want them to stay on your site – reading your content – as long as possible. See how they recommend related reading and have their email subscription offer at the end of their posts? 4. 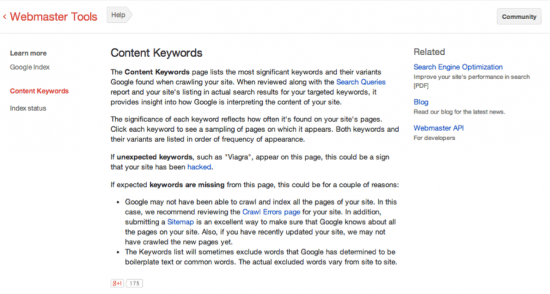 Use clean SEO and targeted keywords for content marketing. Think of it this way: Search engines are helping people find relative content. Their goal is to please the user by helping them find what they’re looking for. When you use your keywords in an organic way, Google rewards you by increasing your search engine rank. Main title and H1 tags. In the first paragraph – first sentence if you can. Subheads (if it makes sense). Image file names and the alt text. And if you specialize in SEO, feel free to grab one of the free proposal templates we created for SEOs. The most effective content is shareable content. 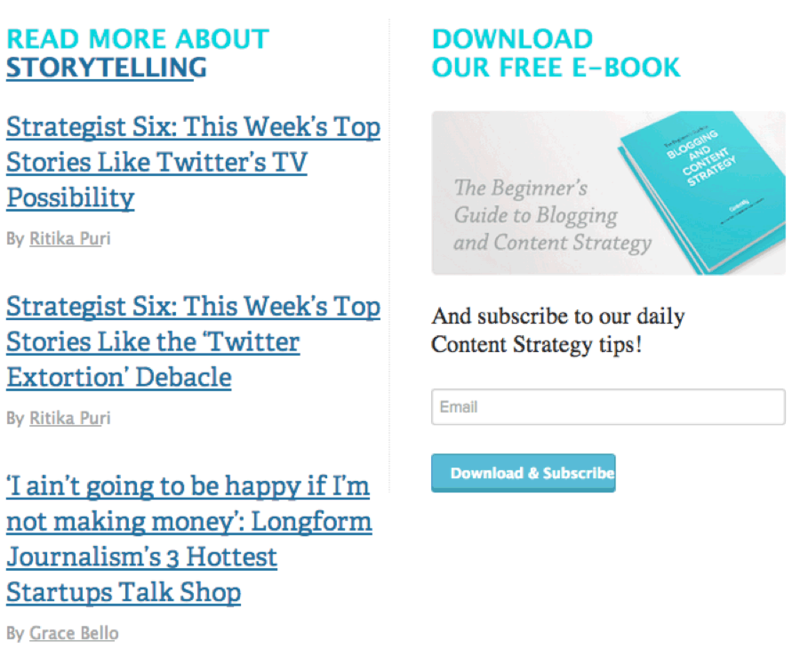 But what makes content shareable? It all comes down to social currency. 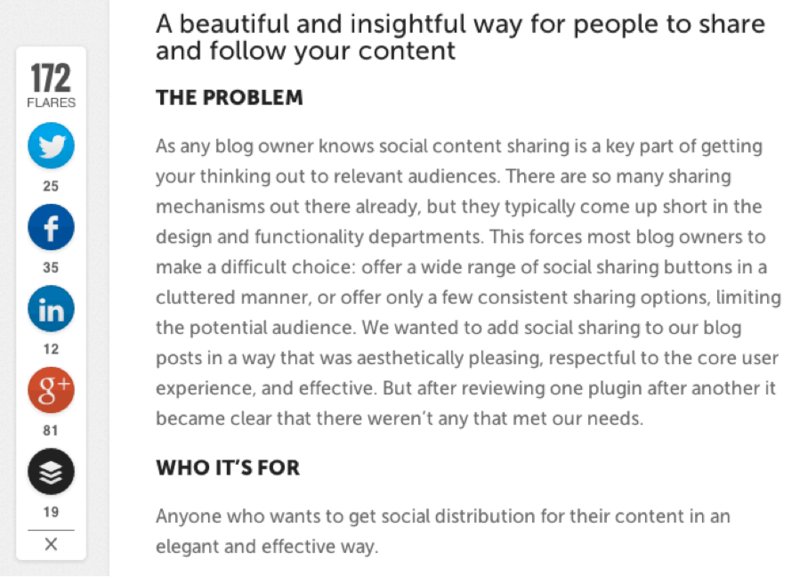 In other words: What will the reader gain from sharing your content? Think about the types of comments, posts, and articles that you share online. What do they do? Informative and helpful. One article that’s spreading like wildfire as I’m writing this is one that informs people of the inefficiency of multitasking. This is both informative and helpful. Disprove a common theory. The article about the fallacies of multitasking also encompasses this idea. People like to share ideas that are contrary to popular thought. Show that you care. Humanitarian pieces often get shared because of the emotional heartstrings factor. Current events. People share what’s happening now in the world. 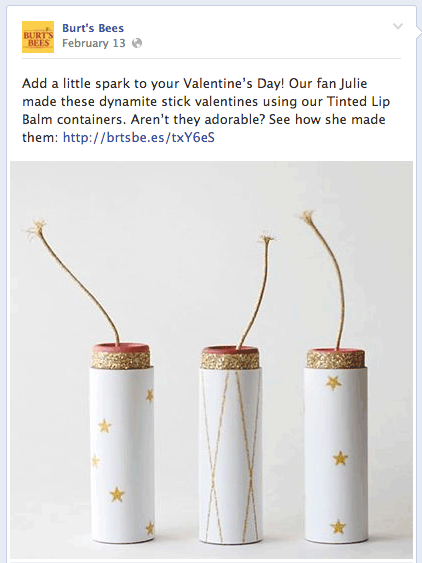 If you can attach your message to a major event, it’ll likely get shared more. The main point of creating content is to get your message in front of the right readers. When you have the right reader, consider that they probably have a lot of friends who fit the same profile. 7. Ask for their email address. Your perfect customer may not be ready to buy the day they come across your content. But – if you capture their information – you can continue marketing to them with more content until they are ready to buy. Don’t forget to increase your opt-in rate with a valuable bait piece! 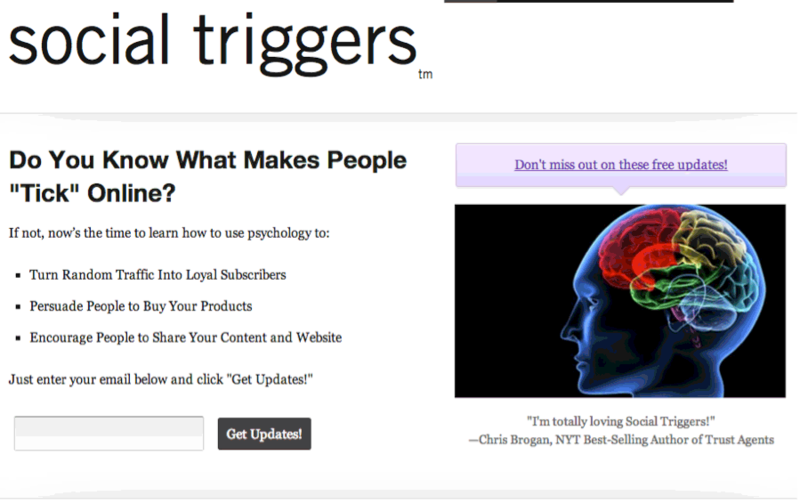 Here’s an example from Socialtriggers.com. 8. Ask them to buy. If it makes sense, include a call to action at the end of your content that encourages the reader to buy. But one word of warning! You have to provide quality content in order for this to work. If your content is purely promotional, people may tune out and not make it through your content to the call to action. Save your sales copy for sales pages and promotions. Here’s a sample where the article talks about self-defense and how you can use your keys as a defensive weapon. It is a common misconception to place them between your fingers – you run a high risk of injuring yourself! But they sell a product that makes your key ring much more effective as a self-defense item. 9. Quality trumps quantity in content marketing. People share and spread a message not because they’re constantly exposed to it … They share it because it touches them or improves their life! 10. Use your content more than once. It takes time and/or money to create your own content, but I see too many marketers publishing great content once and then never using it again. Of course you’ll have to slightly modify and adapt your content to the different mediums, but the hard work of creating the content is already done. As mentioned earlier, content marketing isn’t new. But there are tried and true practices that you can put in place to ensure you get the most out of your content marketing strategy. Also, the game does change, so it’s important to stay on top of the trends in content marketing too. So what about you? … Are you experiencing success with content marketing? We’d love to hear about it in the comments below. Or do you have any more tips or questions about content marketing?